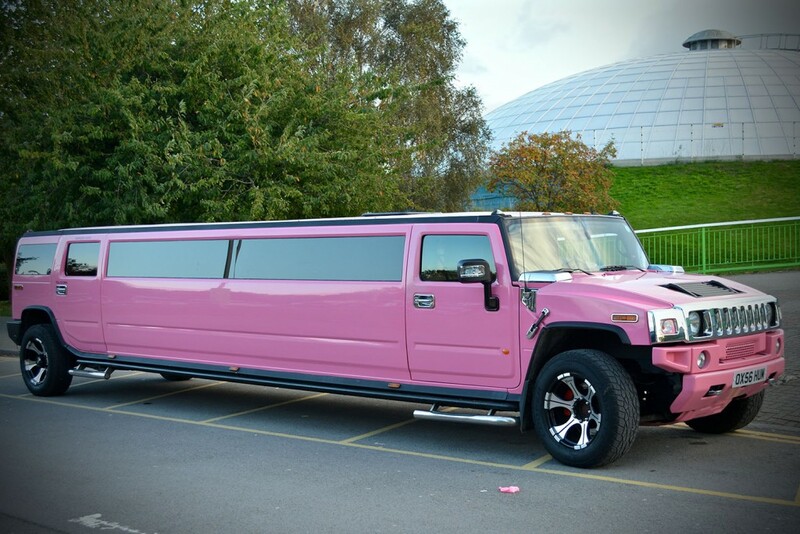 1st Class Limos has a 16-seat, stretched Pink Hummer available for you to rent anywhere in Banbury Oxfordshire or its surrounding areas. 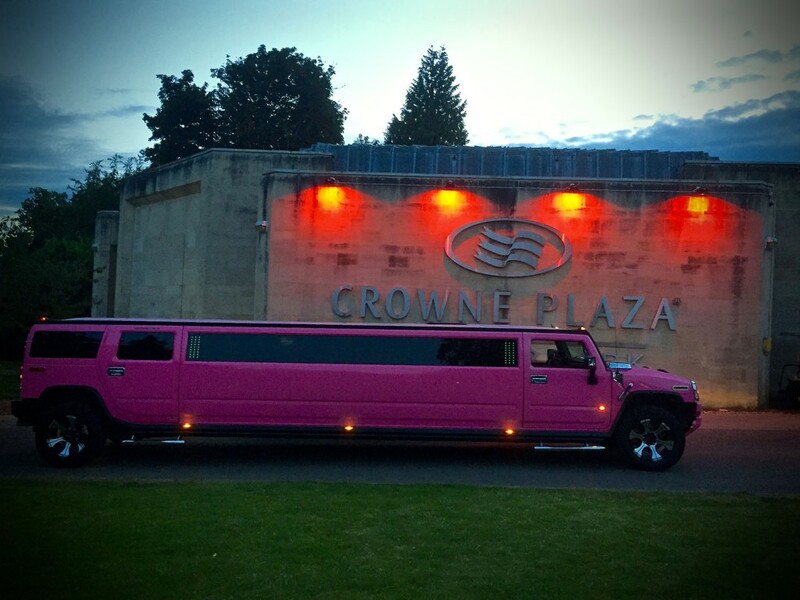 This pink limousine will definitely get your party started and turn heads along the way in Banbury Oxfordshire, with its bright pink exterior and tinted black windows! It also boasts a brand new, glossy interior of carbon fibre leather in two-tone silver, completed with a pink piping finish. 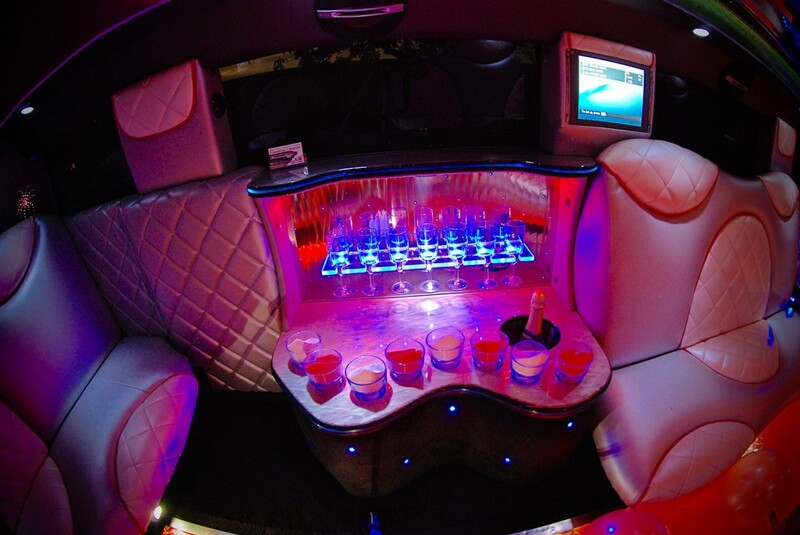 1ST class limos stretched pink hummer is the ultimate party on wheels with a full colour changing flashing disco floor, lighting throughout our full length flashing mirrored ceilings and bars and 2x champagne bars with bubbly on ice. There are also TV screens throughout, top of the range audio systems with 4 bass subwoofers that offer connectivity to Bluetooth and Apple devices. 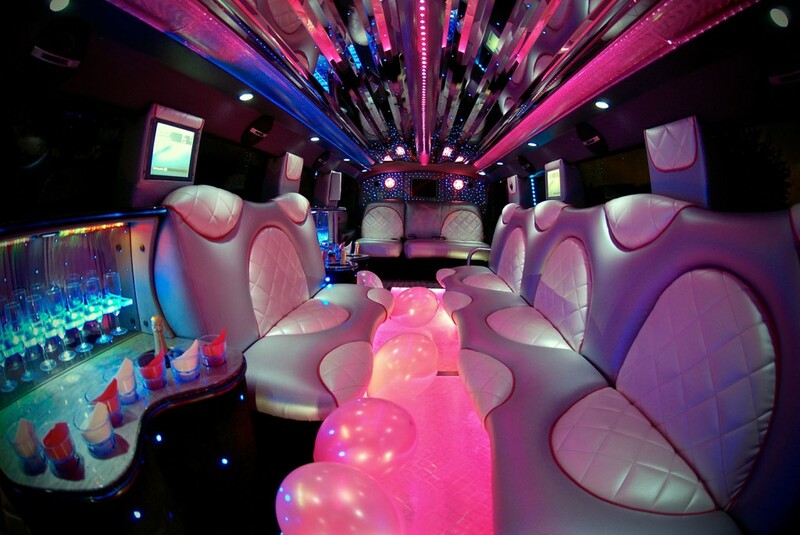 Our 16 seat Pink stretched hummer is an extremely popular choice to hire for Hen Parties in Banbury Oxfordshire, School Proms, Weddings and Birthdays parties for all ages; we also offer Airport transfers to and from most major airports for your weekend breaks away. This vehicle has a medium size boot space for luggage and enough space for your food hampers for events like ladies day at Royal Ascot or other sporting events. 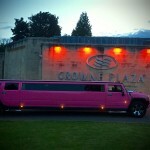 From hiring our stretched pink hummer, your own private VIP party starts from the moment you leave your front door or collection point in Banbury Oxfordshire; with bubbly on ice to greet you and your party and your favourite tunes pumping through the speakers whilst you enjoy a spectacular lighting display to get you in the mood for the hours ahead. 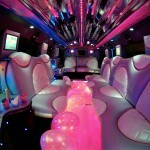 At 1ST class limos you can hire our pink hummer to cover any area in . 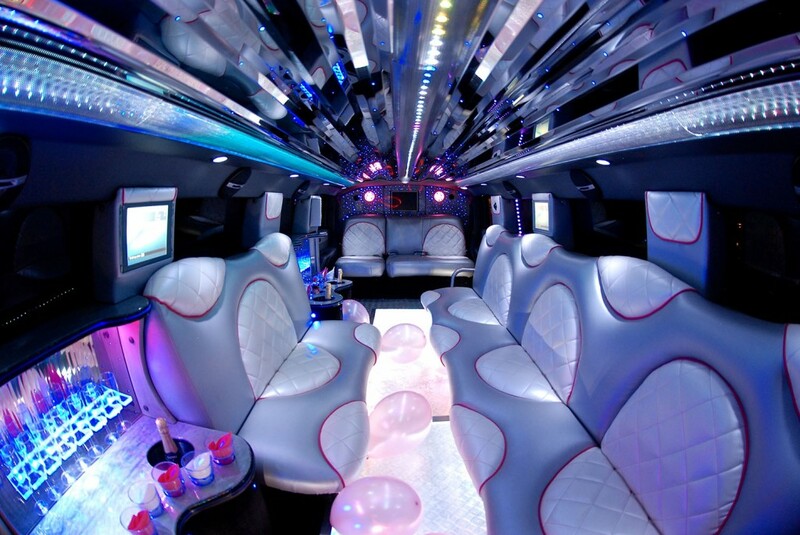 If you’re looking at renting out our stretched hummer, we are more than happy to take you further afield to places such as London, Brighton, Bournemouth, Essex, Bristol, Cardiff, Bath, Bristol and many more. There’s no nicer feeling than having that peace of mind when travelling out of town, knowing that your hummer is waiting to bring you home safely in comfort and style. 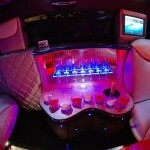 Please fill out an online quote form or call the office for prices and availability today. 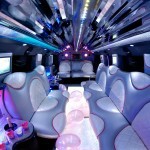 Make your event extra special with 1st class limousines Banbury Oxfordshire.